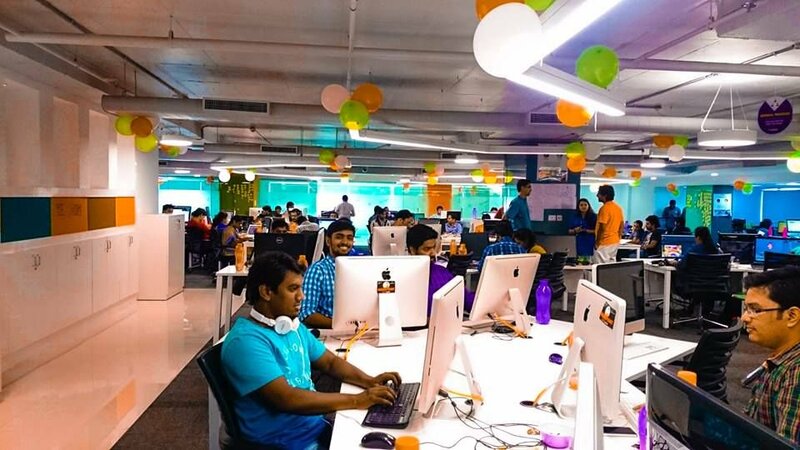 Analytics India Jobs offers a new platform for the data science community in India by bringing to the fore latest job openings across the country. The candidate will be part of a team that consists of highly qualified and dedicated professionals who are focussed on value creation for clients through automation, data and decision sciences. The main role of the team is to apply leading Advanced Analytics, Robotics Process Automation, Machine Learning and other AI frameworks, tools and techniques to solve client issues and help them gain powerful new insights to improve revenues, profitability and reduce costs by solving for a range of KPIs and value drivers based on the client industry and functional domain area. A degree in Msc. Stats, Phd in Statistics, Mathematics, Engg. in Computer Science, MCA, Masters in Computer Science or other business and engineering graduate streams with experience in Data Science and Advanced Analytics implementations. 2-8 years experience, with strong knowledge and skills in statistics, mathematics and computer science. Deep skills in Computer Vision solutions using CNN, RNN and other ensemble algorithms and methods. Experience in design and delivery of leading Analytics / AI solutions to clients by applying your deep skills in above mentioned disciplines including Advanced Analytics, Machine Learning and Deep Learning. Python, Tensorflow, Keras, Pytorch, Caffe, R, along with a strong understanding of all key market leading Advanced Analytics, Machine Learning and Deep Learning techniques, frameworks, methodologies and tools. Founded in late 2016, Leben Care offers automated medical image analysis algorithms that improve access and quality of diagnosis across areas of life sciences. Their mission is to develop artificial intelligence products and solutions that improve access and quality of diagnosis across areas of life sciences. Principal ML engineer would be part of a world-class AI RnD team to enhance the Netra.AI platform enabling next generation of medical imaging diagnostic for Ophthalmology. Master’s Degree or PhD – Computer Science, Artificial Intelligence. Hands on Experience in implementing deep learning architectures using latest machine learning tech and frameworks. Existing track record as a researcher in machine learning with published scientific journal. Design and build novel machine learning models to solve unique medical problems and improve patient outcomes. Solid Python and C++ experience and Linux user. Experience with a vast set of computer vision libraries. Deep understanding and hands-on experience in state-of-the-art Medical Image Analysis algorithms will be a plus. Headquartered in Hyderabad, HealthFolks guarantees to deliver original medicines and healthcare products on a single click, 365 days. The candidate shall be responsible for managing the products categories on our Portal on the basis of analysing the market trends and conduct analytics on different kinds of data & information generated. Conduct Deep Competitor analysis, unmasking their strategies, preparing our approach plan on the basis of analytical data and statistics. Should have expert knowledge in w.r.t the latest statistical software SQL, R/ Python, BI platforms (Tableau) or other Analytical tool shall be preferred. The candidate shall be responsible for managing the products on our Portal on the basis of analyzing the market trends and conduct analytics on different kinds of data & information generated. Conduct Deep Competitor analysis, unmasking their strategies, preparing our approach plan on the basis of analytical data and statistics. Implement tools and strategies to translate raw data into valuable business insights. Should have expert knowledge in w.r. the latest statistical software SQL, R/ Python, BI platforms (Tableau) or other Analytical tool shall be preferred.